At its iPhone launch event, Apple has launched the iPhone XS, and it looks pretty much like what we expected it to, based on the numerous leaks and rumors. The iPhone XS continues the design first seen in the iPhone X, with a number of refinements. 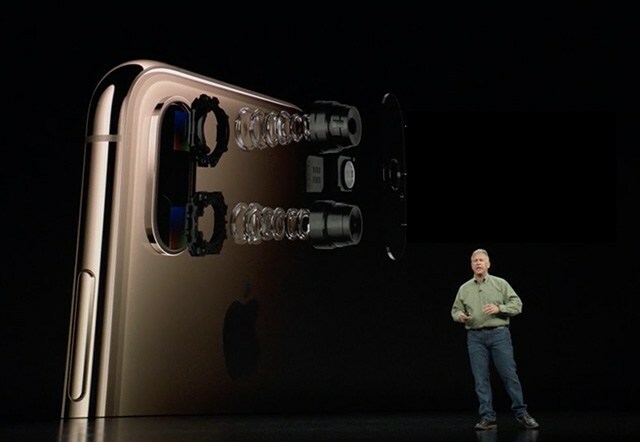 The new XS has been launched in three color variants: Gold, Silver, and Space Gray, and the iPhone XS is also IP68 rated for use underwater. The iPhone XS starts at $999 and comes in three variants of 64GB, 256GB, and 512GB. Orders for the iPhone XS will start on September 14, and the phone goes live on September 21. In India, the phone will start at a mind-boggling Rs 99,900 and will go on sale from September 28. The new iPhone XS comes with a 5.8-inch SuperRetina OLED display variants. The display supports Dolby Vision and HDR10 for better color reproduction and boasts of 60% greater dynamic range than the last-gen OLED panel. Powering the phone is the A12 Bionic chip that’s built on the 7nm process. It’s a 6-core chip, with 2 high-power cores, and 4 high-efficiency cores. It also includes a dedicated neural network processing chip, as well as a quad-core GPU, which Apple called the industry’s most advanced mobile graphics solution. In terms of optics, the new iPhone XS comes with a 12MP f/1.8 + 12MP f/2.4 dual rear camera, along with a 7MP camera on the front. This is mostly similar to the iPhone X, but Apple is touting improved quality and color reproduction thanks to AI-based processing. The iPhone XS features Smart HDR, which is Apple’s take on HDR+ that Google has been promoting for a couple of years. Smart HDR promises to dramatically improve the range of light captured in a photo, thanks to multiple shots at various exposures as well as neural network processing. Apple also says the neural network chip in the iPhone XS delivers a better Portrait mode experience, and users can also tweak the background blur intensity in pictures. The neural network analyses a photo and separates the foreground using machine learning to deliver an improved portrait mode experience. The new iPhone XS also has a better battery than the iPhone X and can last up to 30 minutes longer. There’s also an eSIM in the new iPhone that will enable dual SIM capabilities in the new iPhone XS.